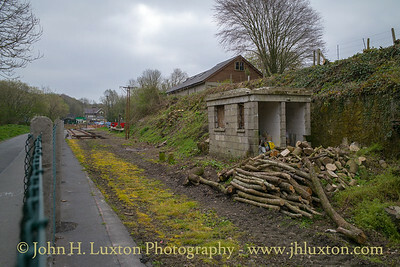 Built by the North Devon Railway, Torrington Station opened on the 27 July 1872, operated by the London and South Western Railway. 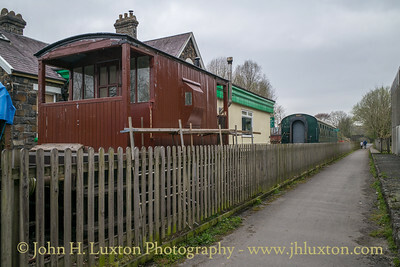 From 1880 it connected with the narrow gauge freight only Torrington and Marland Railway. On grouping in 1923 the Torrington to Barnstaple line became part of the Southern Railway. 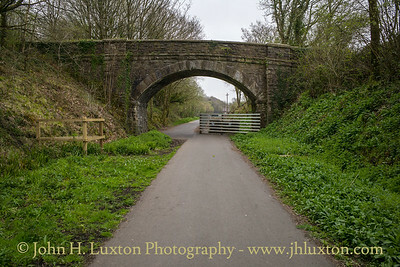 In 1925 the narrow gauge Torrington and Marland Railway was rebuilt as a standard gauge line and opened through to Halwill Junction as the North Devon and Cornwall Junction Light Railway. 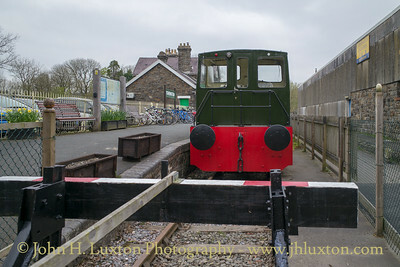 A passenger service operated until 1965 when the line again reverted to carrying goods only until the line through Torrington was closed completely in 1982. 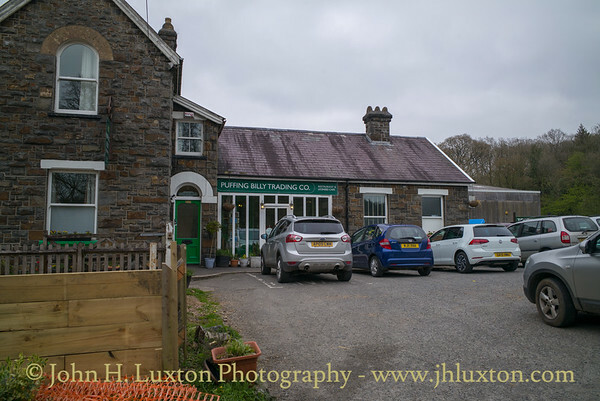 The station was closed for advertised passenger services in 1965 under the Beeching Axe. Freight trains and the occasional passenger special and railtour used the station until September 1982. 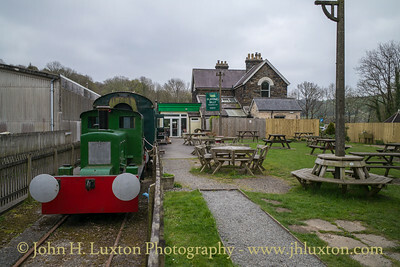 After full closure, the station building was converted to a public house known as the Puffing Billy though today it operates as a licensed café. Back in October 1979 I travelled to Torrington on the Wirral Railway Circle “Atlantic Coast Express” Railtour from Chester which called at other locations on the former “Withered Arm” – the Southern Railway lines in the West Country. 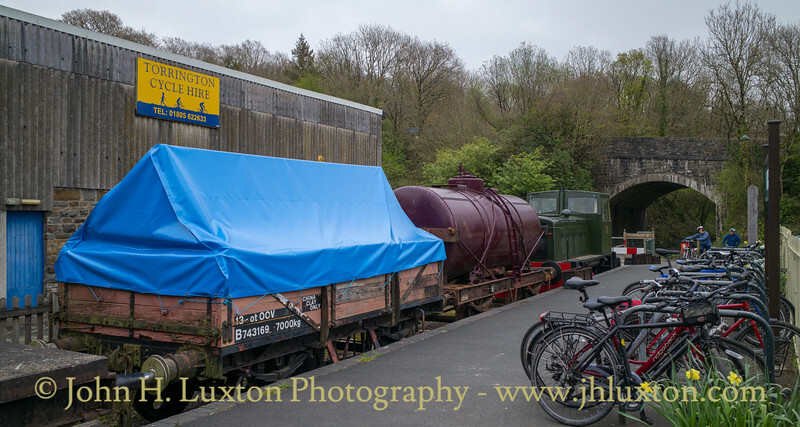 My last visit to Torrington Station was in September 1982 on the day the final freight train ran – but I managed to miss it! Since then I have past by a few times this was the first time I have stopped for a look around probably since 1985. 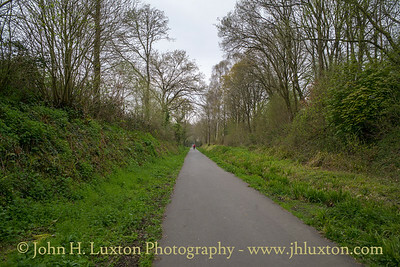 The former ICI fertilizer depot in the good’s yard is now a cycle hire business. 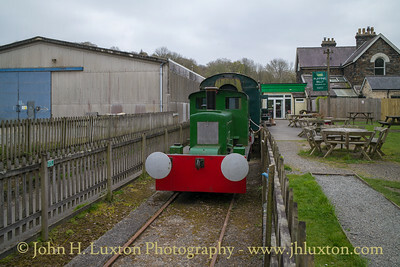 There is a small collection of rolling stock at the station which is the base for the Tarka Valley Railway Group which aims to rebuild the railway back to Bideford. 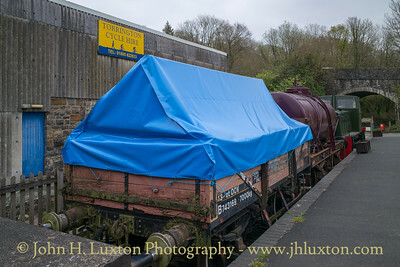 Clay Hood, milk tanker and TORRINGTON CAVALIER is a 6 Cylinder Diesel Electric192 HP Ruston & Hornsby diesel locomotive – the last one to be constructed in February 1969. 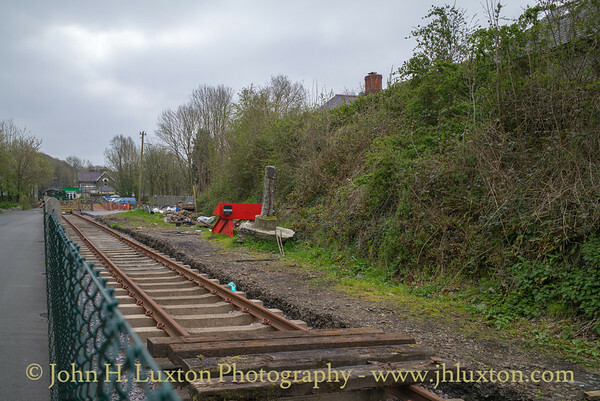 Originally delivered to the Nevils Dock & Railway Company of Llanelli where it worked until 1990, before moving to the Chasewater Railway in Staffordshire from where it was obtained by the Tarka Valley Railway in 2017. 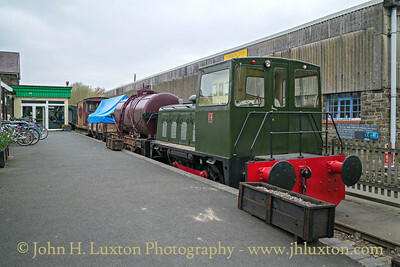 TORRINGTON CAVALIER is a 6 Cylinder Diesel Electric192 HP Ruston & Hornsby diesel locomotive – the last one to be constructed in February 1969. 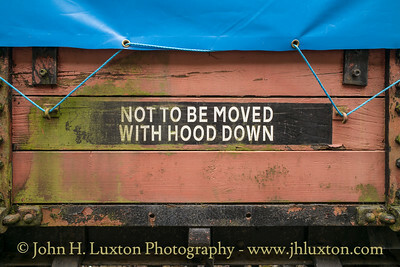 Originally delivered to the Nevils Dock & Railway Company of Llanelli where it worked until 1990, before moving to the Chasewater Railway in Staffordshire from where it was obtained by the Tarka Valley Railway in 2017. 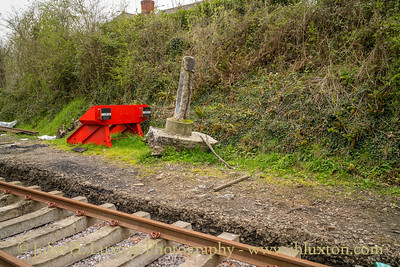 New buffer stop presumably for the running line and an uprooted Tarka Trail marker. 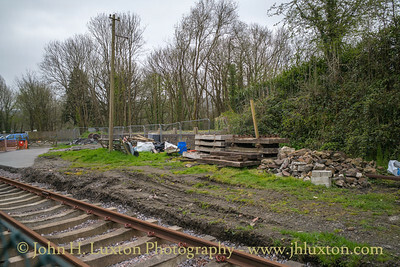 View showing how the Tarka Trail has been slewed to allow for the reconstruction of the track as far as the first over bridge. 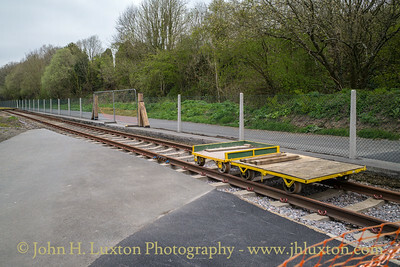 View along the track bed towards the station showing track materials ready for installation. 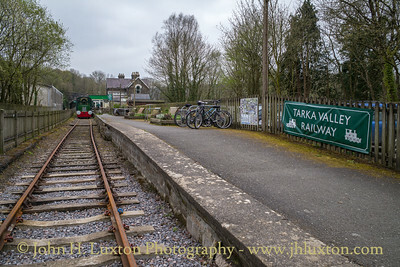 The building is known as Ivy Cottage which the Tarka Valley Railway aims to restore as a secure store. 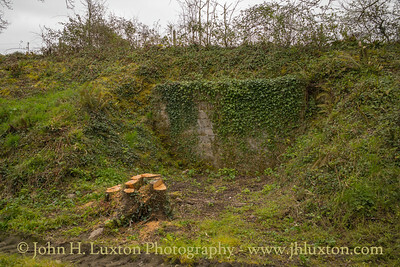 The next step is to install a point at the this location to give access to a siding to be reconstructed alongside the coal dock. 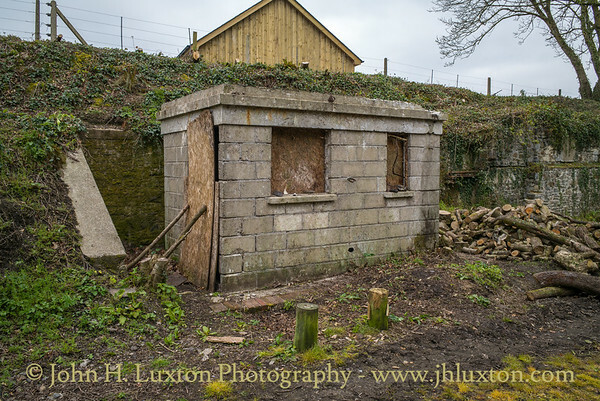 This building is known as Ivy Cottage which the Tarka Valley Railway aims to restore as a secure store. 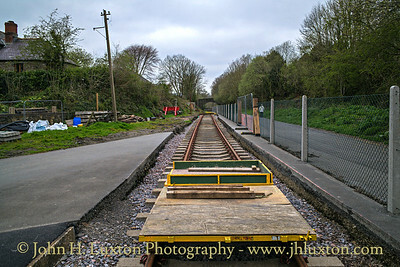 The newly laid track looking back towards the platform. 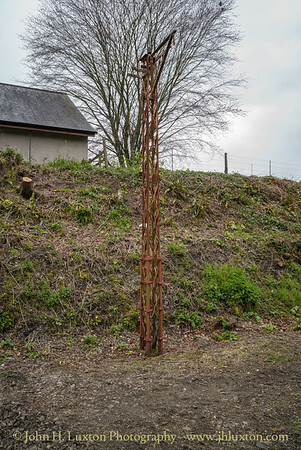 A surviving original signal column at the Bideford end of Torrington Station. 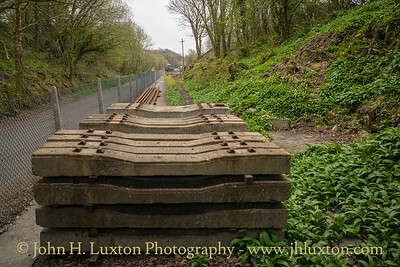 During the early part of 2019 track laying has commenced with the intention of extending the running track up to the over bridge in the distance, work has included the provision of a level crossing to give access to the Tarka Trail. A siding is also to be installed giving access to the former loading dock. Torrington Station Running In Board.